Today we discuss how to grow your email marketing database. When it comes to your email marketing database, size isn’t everything. It is great to have a large list of current and potential customers. It means you can communicate with them via email campaigns. It is also important to have a list of recipients who regularly respond to your email marketing campaigns. Your email marketing database should consist of people interested in your business. These contacts enjoy receiving communication from you. They are actively engaged with your email marketing campaigns. 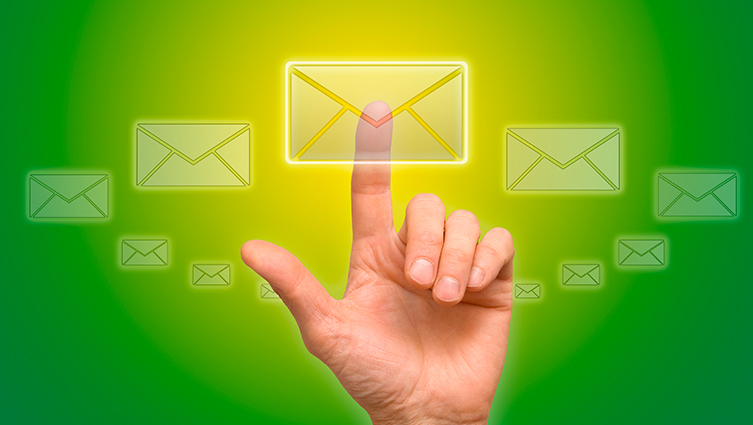 Here are a few ways you can grow your email marketing database. It is important to ensure the quality of your subscribers remains good. Giving people a reason to sign up to receive your emails is a great way of growing your email database. Many consumers can be reluctant to part with their valuable data. They need to see an obvious benefit. This could be a discount on their next order or access to exclusive discount codes. While discounts work great as an incentive, the incentive doesn’t have to be monetary based. The value add for people signing up to your emails could be in the form of information. This could be as an ebook, blog articles, your latest white paper or a simple guide. Incentivising your sign up process will help you build your email marketing database. It will also help you keep the quality of your subscribers high. Ensure that the email opt-in box is clear and visible. If a user has to hunt for it they are likely to give up before they find it. A well designed website places email opt-in boxes strategically throughout your website. They entice users to sign up, or at least know where to go, if they decide to sign up at another time. There is nothing more frustrating than interrupting a user to ask for an email address. There are techniques to keep email subscription top of mind without being disruptive. Remember to place email opt-in boxes at three locations; top of the page, the sidebar and bottom of the page. Strategic positioning ensures the user is reminded to opt-in at various stages of their visit to your website. Remember opt-in boxes should not be overwhelming, distracting or annoying. The primary focus of your website should be your content. There are many opportunities for you to capture data offline. This can be at networking events, exhibitions, trade shows or festivals. If your business has a physical premises and a payment area you can ask your customers if they would like to sign up to receive emails. You could even include entry to a competition as an incentive. When asking users to sign up to your email list collect as little information as possible. All you need to get started is their email address and first name. This will enable you to personalise your emails to each user. Asking for any more information than that is likely to turn people off. Most of us don’t like sharing our personal information online or do not want to spend 5 minutes filling out forms. Got any questions about growing your email marketing database? Speak to Blackberry Design to see what we could do for your business. Get in touch on 01527 517309 or fill in our contact form.